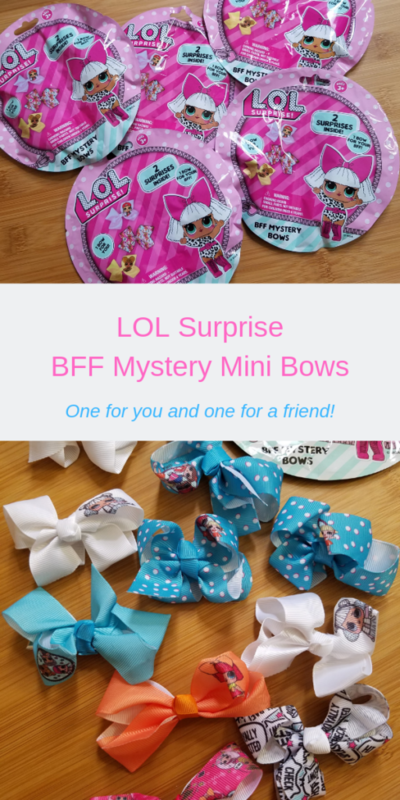 My daughter loves LOL Surprise, hair bows and surprise toys/accessories so it wasn’t a surprise that she loves these LOL Surprise BFF Mini Mystery Bows. She also loves anything that has a BFF feature with them. She shares BFF jewelry and other things like that with her friends all the time. 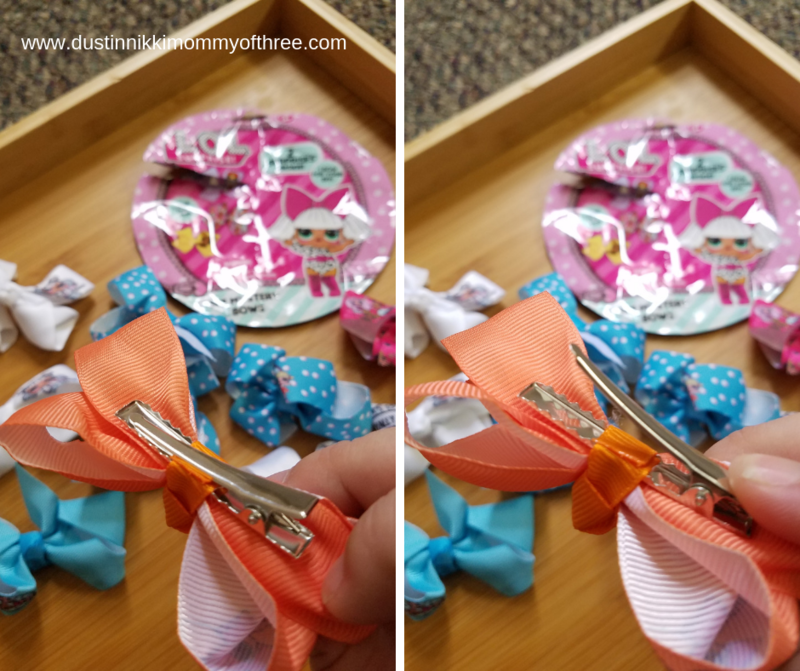 These mini bows have the same concept. 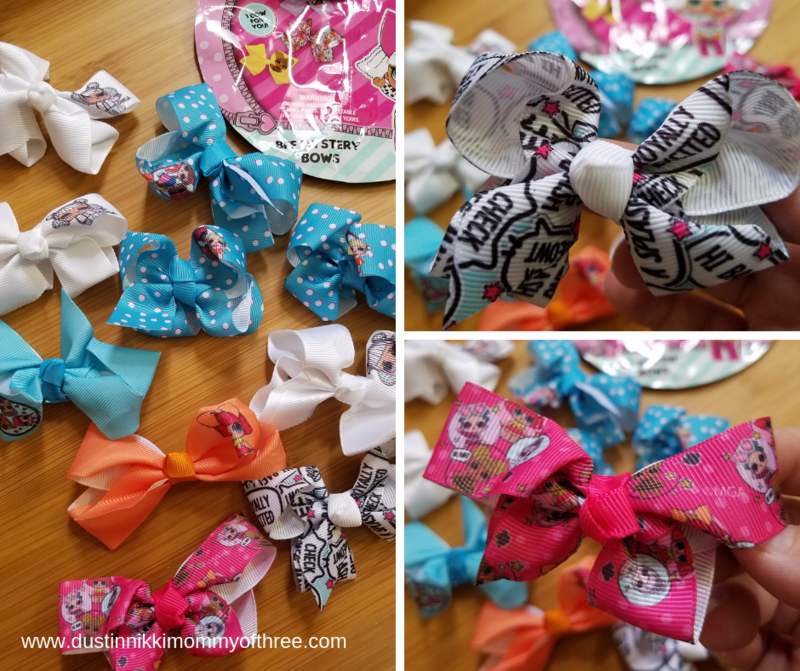 One bow for you and one bow for your BFF! One for you and one for me! Each package are in blind bags because it’s a surprise as to which bows you will get. The package is really neat because there is perforation down the middle. You can separate the package into two. Doing this doesn’t open the bows. That way you and your friend can open up your own bows and be surprised together. Pretty cool huh?! There are a lot of different ones you can collect too. There are 24 different bows in this series! They are really cute too. There are some that are solid colors in really pretty colors. My daughter has an orange one and it is a really pretty orange color. She also has a few white one and a few light colored blue ones. Usually the solid colored ones feature one of the LOL dolls. She got a few blue ones with polka dots that are just darling. A couple others have saying all over them. Another one is pink with polka dots and features a bunch of LOL dolls. So there are a lot of different designs! 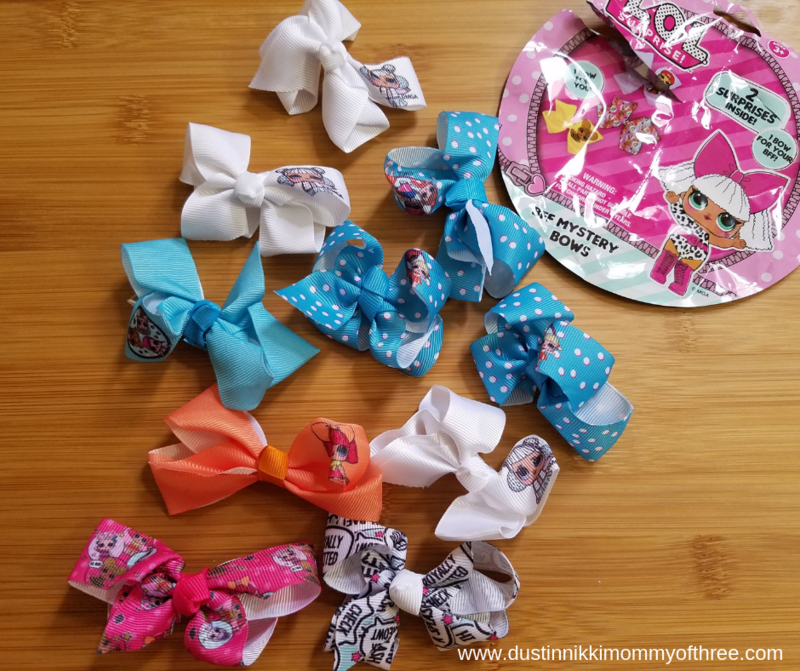 Each bow has a clip on the back of them. These are really durable clips too. My daughter has really curly hair and they stay in her hair really well. They rarely slip at all. I thought maybe it might be because her hair is so curly but I tried one in my hair after I straightened it just be be sure. They stayed in place in my straight hair too. They don’t pull when you take them out either. Which if course is a big plus. They don’t have to be just for hair! My daughter has found other uses for them too. 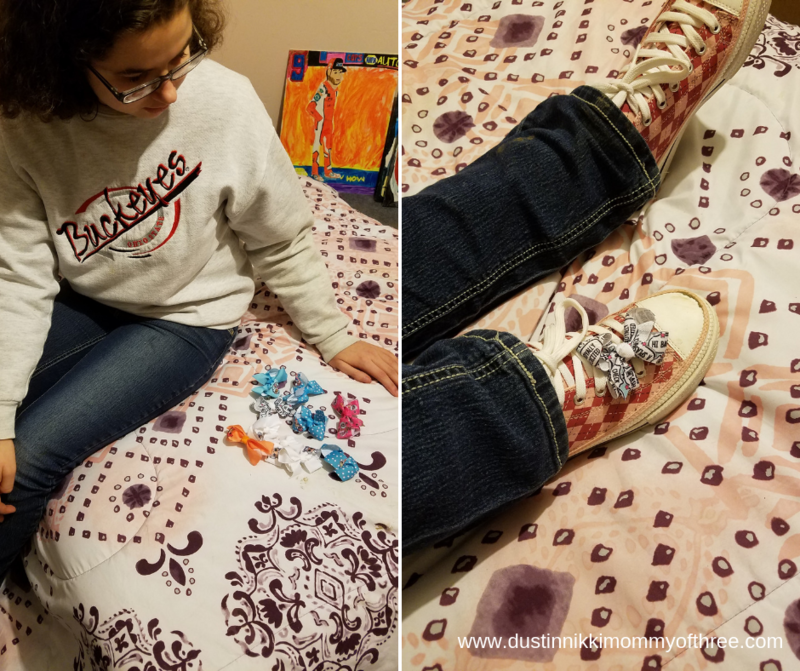 Not only does she use them in her hair, she also clips them to her backpack, bags and even accessorizes by clipping them on her shoes. My daughter loves them and I think they are really cute! They are fun to collect the the BFF concept is also really fun. When we first got them out of their packaging, we had to straighten and shape a few. But that’s really to be expected being in a surprise bag package. But they were easy to shape. I am really happy they have a good clip on them and stay in hair. 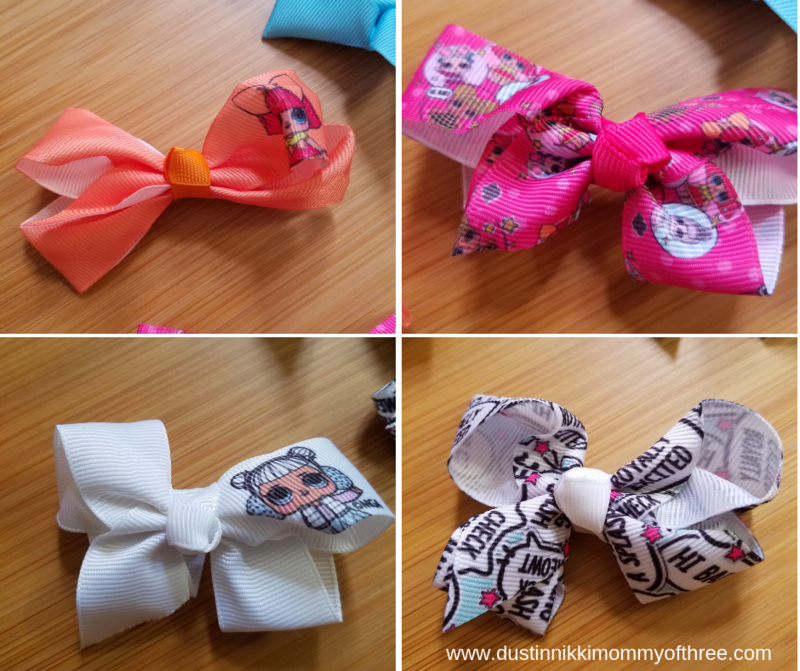 These would be perfect for any LOL Surprise fan that loves bows! 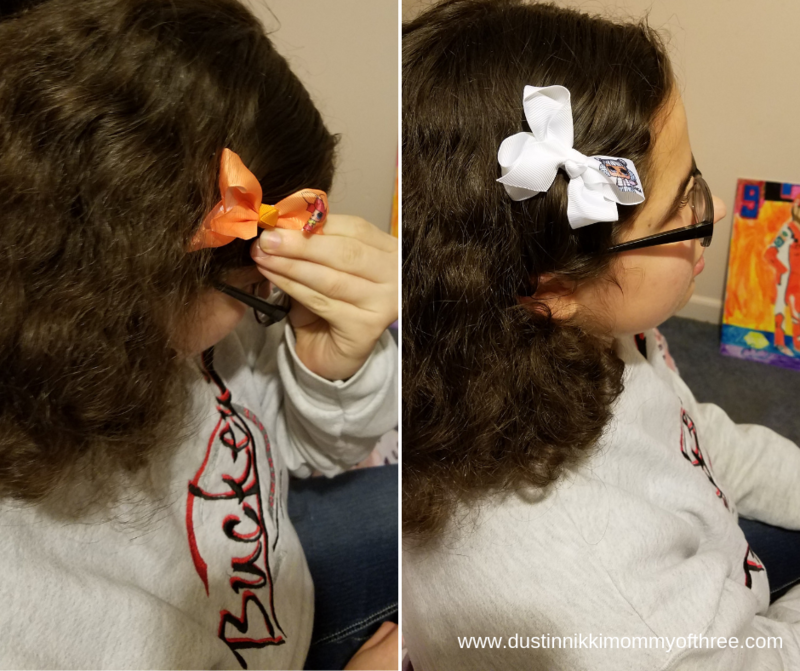 These LOL Mini Mystery Bows are part of my Valentine’s Gift Guide for Kids! 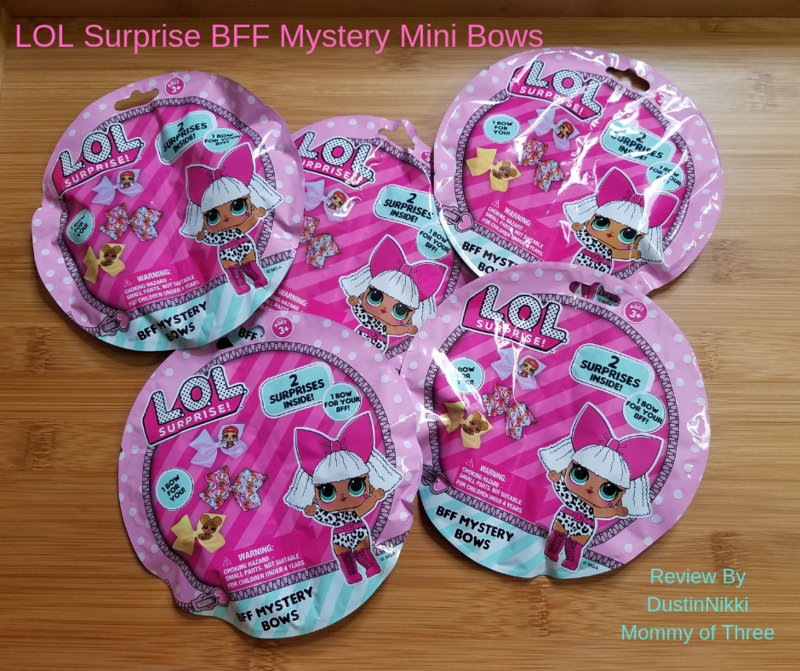 Buy It: You can get these LOL Mini Mystery Bows at Target stores. MSRP $4.99 each. Have to share with my niece.